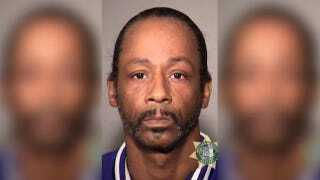 Katt Williams Arrested for Assaulting Driver in Portland, Ore.
We all have the person we root for, doggedly, stubbornly, and despite all the messed up, self-sabotaging stuff they do. Katt Williams, for a reason I don’t quite understand, remains that person for a lot of people, including myself. Williams (born Michah Williams) seemed on the up-and-up for a minute, after a riveting and Emmy-winning guest appearance on Atlanta, but unfortunately is back in the news for more troubling reasons, this time for allegedly assaulting a hired driver in Portland, Ore. According to KTVU-TV, a local Fox affiliate, Williams was arrested on suspicion of assaulting a hired driver who picked up the comedian at Portland International Airport on Friday night. As multiple outlets report, a fight broke out after an argument between the town car driver and Williams over transporting his dog. Williams was on his way to a “Wild ‘N Out” comedy improv show that evening before he proceeded, well, wild the hell out in the car. Of course, this is far (far, far) from the first time Williams has had a run-in with law enforcement. As USA Today reports, the prolific comedian/actor has been arrested at least a dozen times in the last 10 years. And this is presumably not counting that incident in 2016 when Williams got into a fight with a teenage boy ... and lost. Port of Portland police say the driver suffered cuts to the face and swelling, USA Today writes. As of Sunday night, Williams was still behind bars at the Multnomah County Jail. His arraignment is scheduled for today. What Just Happened Between Tiffany Haddish and Katt Williams?